Exotic and interesting Natural Smoky Quartz Crystal Cluster on Matrix from Malawi, Africa. Smoky Quartz is a wonderful and efficient grounding stone while at the same time raises the vibration level during meditation. 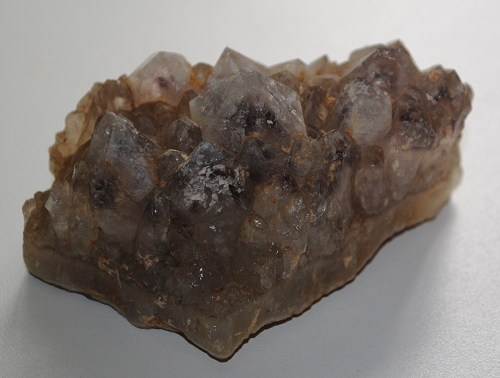 Smoky Quartz is a protective stone and has strong link with the base chakras. 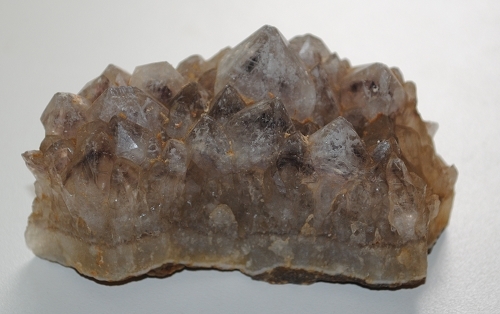 Smoky Quartz enhances virility and cleanses the base chakra. 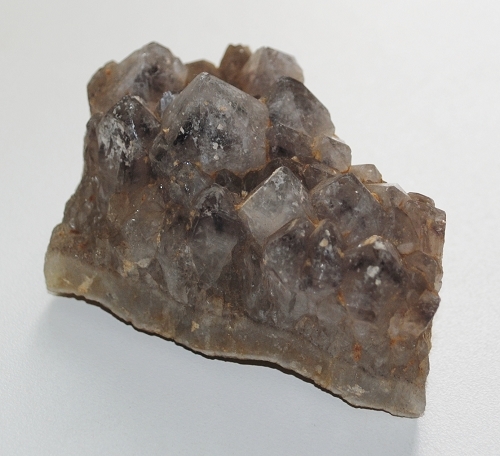 Smoky Quartz facilitates moving between alpha and beta states of mind and aids in clearing the mind for meditation. Smoky Quartz aids the assimilation of minerals, regulates liquids within the body and benefits the reproductive system, muscle and nerve tissue, and the heart.